Latex mattresses aren’t just getting popular because they are extremely comfortable. Latex mattresses are also good for your health. Natural latex mattresses have been proven to increase one’s health. Here are 7 great benefits that you’ll get when you use a natural latex mattress. 1. It’s natural. Natural latex mattress are actually all natural. You don’t have to worry about sleeping on all kinds of chemicals and toxins. Latex mattresses are made from the material found in rubber trees. There aren’t any harmful chemicals or toxins used in the manufacturing process either. If you are sensitive or cautious about sleeping on harmful chemicals, get a latex mattress. You can be certain that you are sleeping on an all-natural product. 2. Support. Latex mattresses offer excellent support for your neck, back, spine, etc. The foam molds to your body and cradles you in whatever position you’d like all night long. The foam response time is faster than memory foam too. This makes it much easier for you to change positions throughout the night. 3. It’s not hot. One of the main complaints of memory foam mattresses is that it is hot to sleep on them. You won’t get this problem with latex mattresses. Latex technology has made it so that it keeps the mattress cool during the summer and warm during the winter. This can be good for your health because you can get the rest you need without worrying about being too hot. 4. Hypoallergenic. This is one of the best features to latex mattresses. Latex mattresses are naturally hypoallergenic. They work great for people with sensitive skin. If you have sensitive skin and are tired of trying to find products that won’t irritate your precious skin, try a latex mattress. You can be certain that this mattresses will protect your skin instead of damaging it. 5. Anti-microbial. OK, not many mattresses are anti-microbial. But, latex mattresses are. These mattresses actually work to inhibit the growth of bacteria, fungi and viruses. You don’t have to worry about what types of bacteria are growing on your mattress. The answer is none as long as you are using a latex mattress. 6. Dust-mite proof. Dust mites are microscopic and people don’t even know when they have them. If you use a latex mattress, you can be certain that you will never have to sleep on or with millions and millions of dust mites. Latex mattresses are dust mite resistant. This means that they can’t get into your mattress, no matter how hard they try. 7. Comfort. Customers who have tried latex mattresses swear that they will never use anything else. Latex mattresses get the highest comfort rating from customers around the world. Comfort is important for your health because without it, your body won’t be able to get the rest it needs. Take care of your body and let it finally sleep on a comfortable mattress. As you can see, there are many health benefits for using a latex mattress. If you don’t care about your health, go ahead and use the mattress you’ve been using. But, if you want to increase your level of health and the way your body feels when you get up in the morning, get a latex mattress. You’ll be glad you did and you’ll never use anything else. We thank Kathy for sending in this message to us, we love hearing mattress reviews like this one. We hope to do business with you in the future! I also appreciate Dave for taking such great care of Kathy and her mattress needs. Thank you so much for the fantastic mattress and the great bonus pillow you sent me – it was greatly appreciated. You have a superior product and I was very impressed with you, your team and your product. Thanks again. People don’t realize how much work it is to be a semi-truck driver. They have to literally live out on the road. They spend the majority of their days driving. Can you imagine driving all day long and into the night? Certainly, it takes a lot of will power, determination and rest to be a truck driver. Luckily, semi-trucks have a bed right behind the driver and passenger seat. This comes in handy when they need to pull over and get some sleep. Truck drivers need the best quality of sleep out there. All too often, their mattresses are lumpy, uncomfortable and don’t provide the support they need. Truck drivers can’t afford to not get a good night’s sleep. They need to wake up feeling extremely well-rested and full of energy. This is why their mattress is so important. The good news is Rocky Mountain Mattress is now offering memory foam mattresses that are compatible for semi-trucks. Finally, semi-truck drivers can sleep on the best material out there. Memory foam mattresses have long proven to be the most comfortable mattresses around. Memory foam uses your body temperature to heat it. As the material is heated, it begins to conform to your body. Once the memory foam has molded to your body shape, it cradles you all night long. You don’t have to worry about tossing and turning anymore. Memory foam also provides the support that many mattresses don’t. There is layer upon layer of quality material to rest on. Traditional mattresses wear out over time and can cause back, neck or other chronic health problems. Memory foam lasts much longer than conventional mattresses too. You don’t have to worry about replacing your mattress every few years. Memory foam is a top-quality product that can stand up to the test of time much better than other mattresses can. You can get a custom made memory foam mattress for your semi-truck. Not only can you specify the dimensions of your next mattress, you can actually put it together yourself. Well, you can tell the manufacturer exactly what you want and they will do the hard work for you. If you need extra support, just let them know. You can design your next mattress by yourself or with the help of a memory foam specialist. Don’t waste any more rest on a worn-out mattress. 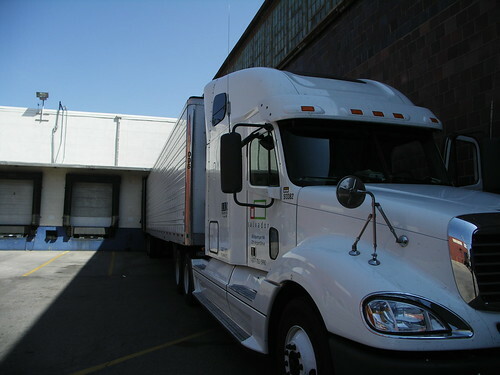 Order your custom made memory foam mattress to fit your semi-truck today ….. The list just keeps growing with the number of company reviews we get on a daily basis. I love hearing good news from customers, and here are some more examples of the kind of customer service you should expect, and will receive at Rocky Mountain Mattress. I thank Dave and Andy, our two most successful sales guys for taking care of the customers needs. I have ordered the 3″ King Sensus Topper from your company, due primarily to the help you gave me. Your attention and advice also went a long way toward swaying me from the Isoform, despite the difference in cost. Customer service was a key consideration in my order. We received the folding guest bed and it works just like we had hoped. We are especially happy with the construction and materials used. We haven’t had a chance to use it yet but we are looking forward to our next trip. We’ll let you know how it went. At Rocky Mountain Mattress you will never find any hidden costs on any of our products. The only thing you will experience, as outlined in the testimonial below is good quality customer service. People often wonder if companies just make up the testimonials that are read on their websites, but Rocky Mountain Mattress has never made up any testimonials. All of the mattress reviews and mattress testimonials that you read in this blog, or on our main website come from real actual customers that love to write in, and tell us how happy of an experience (with us) they have had. Thy coolest part for us at Rocky Mountain Mattress is our customers just email us and send in the testimonials – that’s when you know you are doing something right. We can’t thank you enough Rocky Mountain Mattress. We ordered a special mattress in Aug for our Jay Feather camper. At that time we called Rocky Mountain Mattress. The service couldn’t have been better Dave was very knowledgeable and the result was wonderful. So we now have ordered our second mattress Thanks Andrew. The customer service and quality of the mattress is all the testimonial needed. No hidden cost what they say is what you pay, shipping and all. Here are some pictures of some custom made memory foam mattresses for RVs so you can get a better idea of what Rocky Mountain Mattress can do for you, and your custom mattress needs. RVs make it so nice for your summer camping and traveling. There are even people that live in their RVs year-round. Nowadays, RVs can be extremely luxurious. I recently was in an RV that had knotty-alder cabinets, crown molding and granite counter tops. Can you imagine such a level of luxury in an RV? Some homes aren’t even as luxurious as some of the RVs are today. If you have an RV and are looking to upgrade it or make it more luxurious, but have to stick to a firm budget, you might want to start with the bedroom. Many RVs come with cheaply made mattresses. Many companies are now making memory foam mattresses, specifically designed for RVs. These mattresses can truly convert your RV into your home-away-from home. Millions of people have discovered the level of unprecedented comfort and support that memory foam provides. As you lie on the mattress, the memory foam heats up using your body temperature. Once the memory foam is heated, it begins conforming to your natural body shape. Thus, memory foam reduces or completely eliminates your need to toss and turn all night long. You don’t have to worry about sleepless nights anymore on your next camping trip if you upgrade to a memory foam RV mattress. Many people think that they can’t afford such luxury in their RV. They think that they will have to pay thousands of dollars to get such luxury and support. How wrong they are! Memory foam mattresses are more cost-effective now than ever before. Memory foam RV mattresses come in a variety of sizes too. You really can finally find the perfect mattress to fit your RV bed. If money is really tight, you could even get an RV memory foam mattress topper. These toppers are designed to utilize your existing mattress, but also offer you the comfort and support that you need. It can be helpful to look at customer reviews when trying to find a new mattress set. There are dozens of places to look to find different mattress ratings. Here a quick look to compare the best types of beds. According to customer ratings, latex beds got the highest customer satisfaction ratings. 92 percent of people that owned latex mattresses said that their bed was comfortable. Latex mattresses have many pros and not as many cons as other types of mattresses. This is why so many people are satisfied with their latex mattresses. Memory foam mattresses had the next highest customer satisfaction rating. 85 percent of memory foam mattress owners found their beds to be comfortable. The problem with memory foam is that there are so many cheap imitations out there. People who have high quality memory foam mattresses are satisfied with beds. The cheap imitators are really the main reason why memory foam mattresses don’t rank higher in the customer satisfaction ratings. 83 percent of people found their airbeds to be comfortable. The main advantage to airbeds is that they allow the owner to adjust the firmness of the mattress. If the mattress is too firm, they can let some of the air out. If the mattress is too soft, they can add some air and increase the firmness. Another airbed advantage is that each side of the bed can be adjusted to different settings. So, if you like your mattress hard but your partner prefers it a little softer, no problem. You can each adjust your side of the bed to your individual liking. Water beds ranked fourth in overall customer satisfaction. Approximately 82 percent of people agreed that their water bed was comfortable. Water beds are made better and stronger than they used to. They have come a long way in offering people comfort and support. People tend to not be very happy with innerspring mattresses. These mattresses fall far behind the others in terms of ratings. About 55 percent of innerspring mattress owners said they are pleased with their mattress. The main reason why people aren’t as satisfied with these mattresses is because they wear down a lot faster than they other mattresses. Because of this, innerspring mattresses can sag over time and can have loose coils. This comparison should be helpful in determining what kind of mattress you are going to choose next time. Take a look at your individual needs. Research which mattresses will provide the comfort and support that you are looking for. Don’t waste your hard earned money buying a mattress that is going to fall apart in no time. Remember that every one has different needs. So, use this comparison as a guide. Be sure to test the different mattresses that you are looking into so you can be certain to get what you need. Latex beds are becoming more and more popular. They alleviate some of the negative aspects of memory foam mattresses to provide the owner a more comfortable bed. Here is your personal guide for choosing your next latex bed. First of all, you need to keep in mind that latex beds are going to be more expensive than some mattress and less expensive than others. Latex mattresses are going to cost more than innerspring mattresses because they offer more comfort and support than an innerspring mattress does. 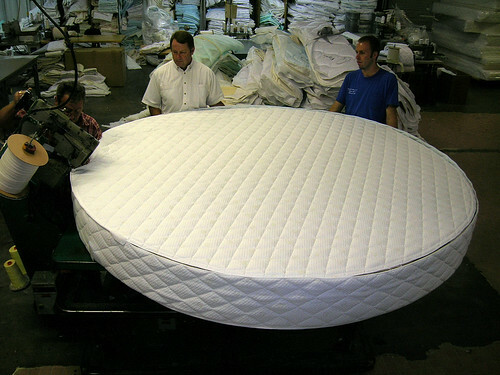 You need to weigh carefully what is more important to you…the quality of the mattress or the cost. Latex mattresses are well worth their price. Next, you need to think about size. What size mattress do you need? Are you going to be the only one sleeping on the bed? Or, is your husband or wife going to share the bed with you? Are you going to have to put the bed in a very small room? Or, is the room big enough to fit a King size bed comfortably? You don’t want to put a huge bed in a small room. Make sure that everyone who is going to be sleeping on the bed will fit on it and that it will fit in the room. In other words, if you and your husband are going to be sleeping on the bed, don’t get a twin size. If your room isn’t very big, don’t get a King size. Latex mattresses come in a variety of sizes so you can be sure to get the one that fits your needs. You need to think about thickness next. The thickness of your mattress is a very important factor to consider. The thickness of your mattress relates directly to how comfortable you will be when you sleep. The thicker that mattress, the more support you will get. You will be more comfortable on a mattress that is completely supporting your body than you would be on a mattress that isn’t supporting you enough. Lastly, you need to consider firmness. Do you want a firm mattress or a soft one? What does your spouse prefer? Make sure you get a mattress that is going to suit both of your needs. Getting a latex mattress isn’t going to do you any good if it isn’t comfortable. The firmness of the mattress relates also to the support to get. Get a mattress that is going to support you and be comfortable enough for you. Choosing a latex bed may seem like a daunting task. Don’t let it be though. Make sure you know your price range. Think about size. Get the thickness right. Decide on the firmness. Take these four things into consideration when choosing your next latex mattress. You’ll end up with the perfect mattress for you. You’ve finally decided to go for it. You’re going to buy a memory foam mattress. As long as you buy a good quality memory foam mattress, you certainly won’t be disappointed. Here are four things to remember when shopping for your memory foam mattress. 1. Density. The more dense the memory foam mattress is, the more support you will get. You should get at least a five pound memory foam mattress. Without this density, you won’t really get the support you need. The more support you have, the more pressure points the mattress will relieve. Remember, this mattress set is an investment. Don’t scrimp on the things that really matter. Make sure you get a high density memory foam mattress. 2. Firmness. Firmness can be a little more tricky to determine. It is measured by finding out how much pressure is required to make a one inch indentation in the mattress. Firmness in regards to memory foam doesn’t mean the foam won’t mold to your body. It simply means that you won’t sink into the memory foam clear to the mattress core. The mattress core should provide the support you need, not the memory foam layer. But, the memory foam layer should be firm enough to keep you well above touching the mattress core. 3. Thickness. The thickness of your memory foam mattress correlates to the firmness and density. The memory foam layer shouldn’t be so thin that as soon as you lie on it, you sink right to the mattress core. If you sink into the core, you’ll lose the important benefits of memory foam. 4. Compression. This factor may take a little longer to find out. You don’t want a memory foam mattress that has been compressed and sitting in a warehouse for months on end. The longer memory foam is compressed, the quicker it will lose the ability to conform to your body. Make sure that your mattress comes to you fresh. The newer the memory foam, the longer your mattress will last. Don’t let shopping for a memory foam mattress be completely daunting. Shopping for your memory foam mattress should be fun. Remember, you are finally going to get a good night’s sleep. But, you need to keep these four factors in mind to ensure that you get a good quality mattress. Your memory foam mattress should have a high density, be firm enough and thick enough to keep you above the mattress core and shouldn’t be packaged for very long. As long as you check these four things, you can be sure to get a great memory foam mattress.